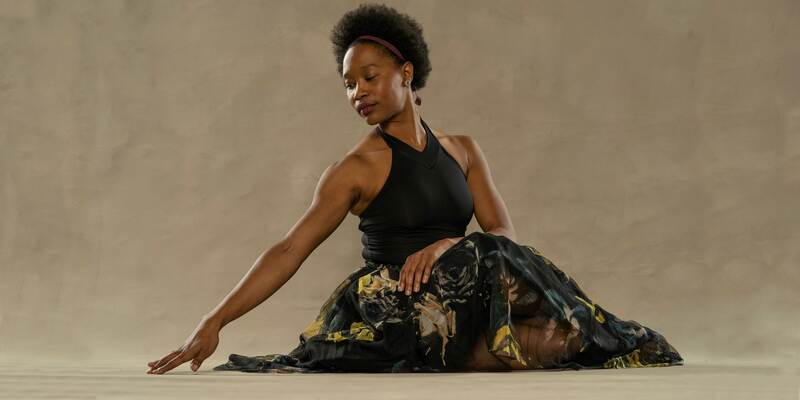 In her work as a dancer and choreographer, Ridley combines traditional modern dance techniques with classical ballet; she’s also heavily influenced by the raw emotion of traditional African-American storytelling through dance. Over the course of the eight-year gap between SDSU and her graduate studies at USD’s School of Leadership and Education Sciences, Ridley became a principal dancer at La Diego Dance Theater, performed in a number of classical ballets for local studios, and took part in collaborative shows such as the contemporary repertory company PGK Dance Project and the annual Mission Federal ArtWalk. Early in her studies toward her graduate degree, she connected with fellow graduate student and visual artist Maureen (Moe) Abugan ’16 (MA). The two hit it off: both were artists who grew up in Southeast San Diego. The spring before graduation, the pair joined forces to create the Artists Building Community (ABC) project. Enter MOSAIC. “We look to incorporate art that take topics of importance that have some sense of seriousness to them, and make it a little bit easier for people to interact by using art,” explains Ridley. Ridley laughs her musical laugh, remembering. “Moe and I were the only artists in our cohort. I actually did a dance in my ‘Love and Leadership’ class. We were supposed to bring a gift to share with the class, so of course I performed.